New kid on the political block, UTM Party launches its manifesto tomorrow while governing Democratic Progressive Party (DPP) and United Democratic Front (UDF) are yet to set dates to unveil their May 21 2019 Tripartite Elections manifestos. UTM Party, which is headed by Vice-President Saulos Chilima, is expected to launch its manifesto in Dowa. The party’s director of publicity Joseph Chidanti-Malunda said in an interview on Wednesday his party is prepared for the launch of the manifesto which he said is grassroot-driven. He said: “We think launching it in a conference centre will disadvantage the majority of Malawians who live in rural areas and in the process defeat the purpose for which the manifesto is intended”. DPP spokesperson Nicholas Dausi said in an interview on Wednesday his party will announce when it is ready with the manifesto. On his part, UDF secretary general Kandi Padambo said the former governing party will launch its manifesto soon, but could not state the exact date and venue, saying the party is still working on the logistics. He said the delay to release the manifesto would not affect voters’ decision because there will be nothing new in their manifesto from the previous ones. Commenting on the delay to launch manifestos, Lilongwe-based political commentator Godfrey Pumbwa said the delay keeps voters in the dark. He said it is important for parties to release their manifestos in good time to allow voters time to make their informed decision. So far, only Malawi Congress Party and Umodzi Party have already launched their manifestos. Among other parties that have not launched their manifestos are former vice-president Cassim Chilumpha’s Tikonze People’s Movement and Peter Kuwani’s Mbakuwaku Movement for Development. 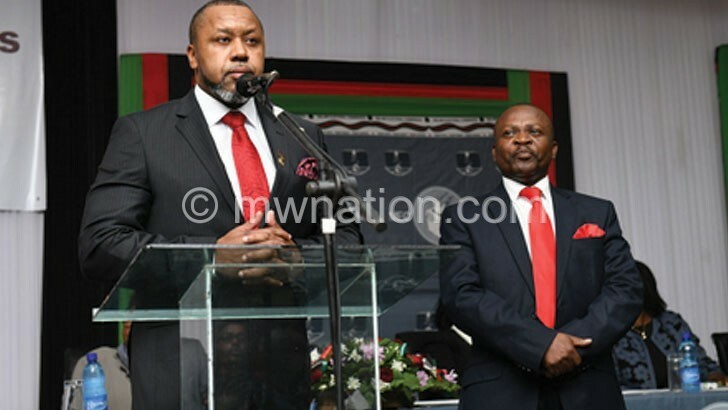 On Tuesday, Malawi Electoral Commission officially launched the 60-day campaign period which will end on May 19, two days before the voting day.